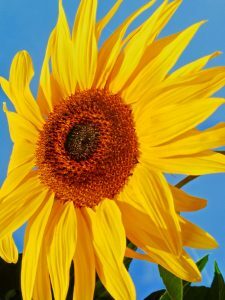 You are here: Home > Blog > Flora & Fauna > What the bees see ……. 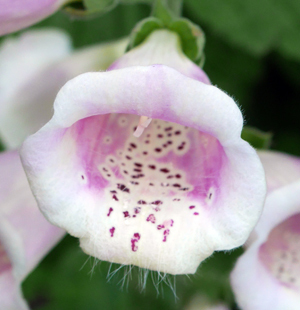 Flower-visiting insects evolved in the Cretaceous Period (about 100 million years ago) - a time when the major flower groups (Monocotyledons and Dicotyledons) came into being. 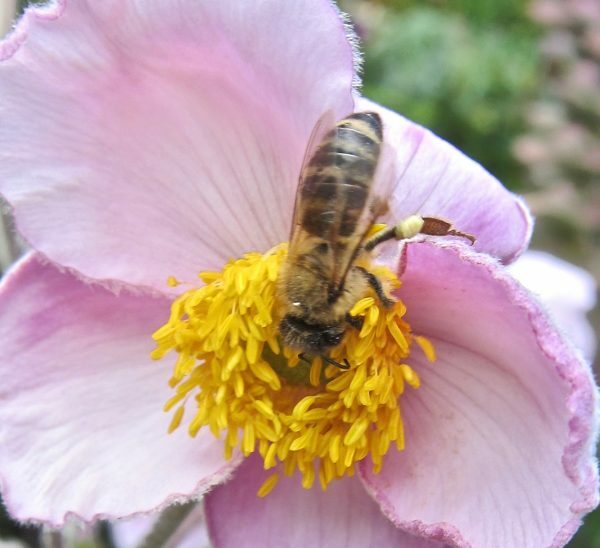 Flowers have a number of “ploys’ to encourage pollinators to visit them - for example, by their colour, scent, reflectance, size, outline, temperature, motion and nectar guides. 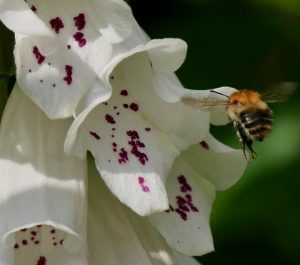 The latter are markings or patterns on the petals and floral parts to guide bees, bumblebees or other pollinators towards the nectar and to encourage pollination. 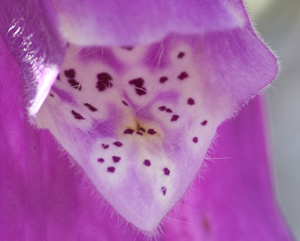 This link (click here) shows how a flower might appear to a bee or butterfly - due their sensitivity to U.V light. The eyes of insects are not like ours. They have two compound eyes. These are located separately and symmetrically, one on each side of the head. Each eye is composed of many visual units called ommatidia (singular: ommatidium). An ommatidium contains a cluster of photoreceptor cells surrounded by support cells and pigment cells. The outer part of each ommatidium has a transparent cornea. The compound eye of a honeybee worker has 5000 – 6000 of these ommatidia. The ommatidia contain photoreceptor cells that are particularly sensitive to light at 350, 440, and 540nm, which responds particularly well to ultra-violet, blue and green wavelengths. 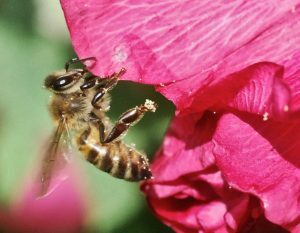 Recently, it has been discovered that the microscopic structure of the petals of some flowers can help guide bees. Tiny, tiny ridges on the surface (the cuticle) of some petals ‘interfere’ with the light - scattering light in the blue and ultra-violet region, creating a “blue halo”. Bees can see this “blue halo” and can use it as a signal to locate the flower (and therefore nectar). These light-altering nanostructures or striations vary in size, structure and spacing from one species to another - yet all produce a similar ‘blue halo”. It is probable that such structures have evolved several times during the evolution of flowering plants - an example of convergent evolution. "Halos" can be seen in plants as diverse as Namakwa Daisy (Ursinia speciosa), an Evening Primrose (Oenothera stricta), and Flower-of-the-hour (Hibiscus trionum). Details of the research by Professor Beverley Glover and her colleagues can be found here . May I have permission to translate and place this on my blog please?. I write mostly in Dutch and the blog concerns my adventures with bees.